Do you like Porsches? Do you like coupes? Do you like crossovers? 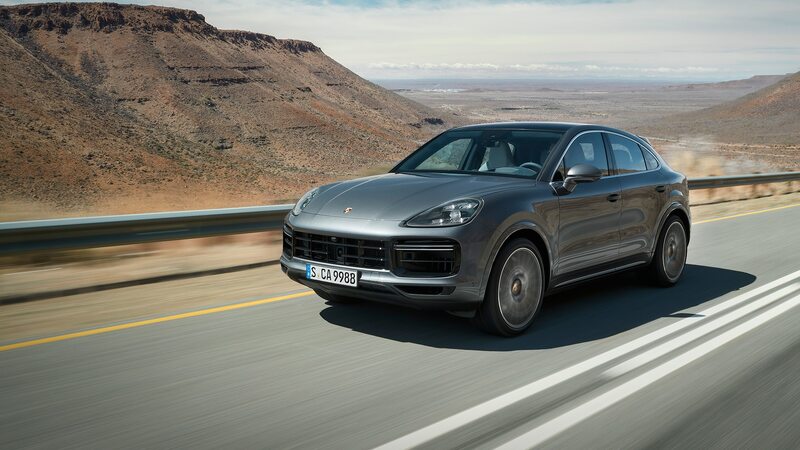 Well, friend, buckle your seatbelt and meet the 2020 Porsche Cayenne coupe, fresh from its debut at a private event in Stuttgart. It will hit American streets this fall. 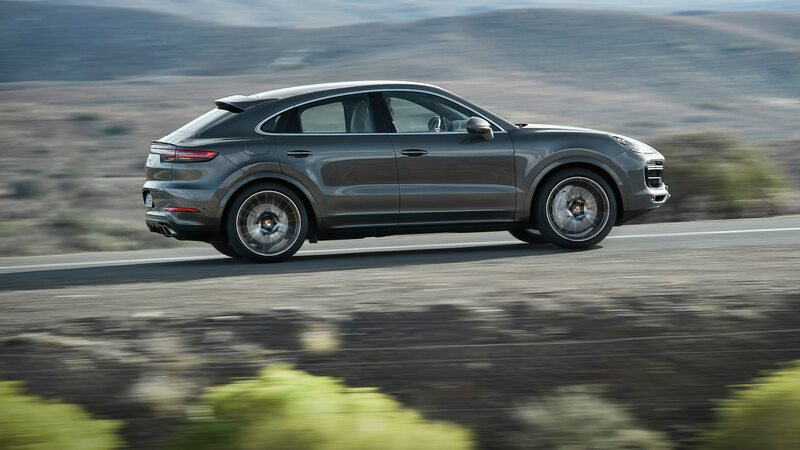 Starting at $76,550 for the standard model or $132,350 for the Turbo, the sloped rear glass and rounder profile will command a fair premium over the commensurate versions of the more conventionally styled Cayenne, which cost $66,950 and $125,850. 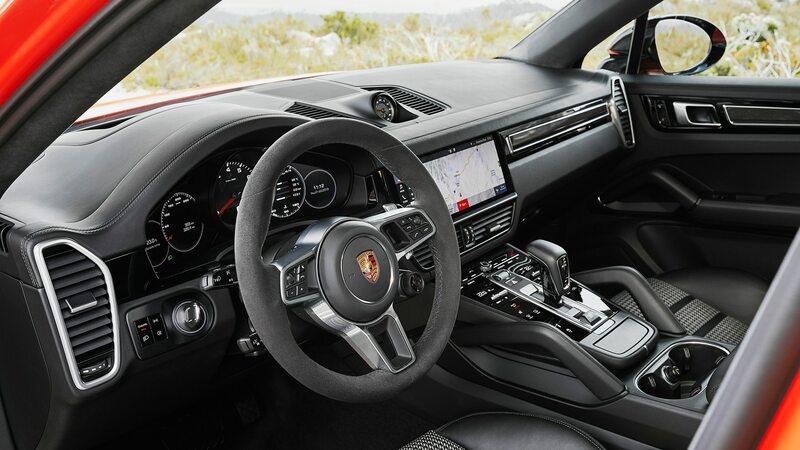 But the extra bucks bring a unique look and feel, as well as several upgrades to the standard equipment of all Cayenne coupes, including the inclusion of Porsche Active Suspension Management, the Sport Chrono Package, and 20-inch wheels. The roofline is what makes a coupe a coupe these days, apparently—even if it’s a crossover with four doors and a hatch. Accomplishing that steeper roofline was a matter of shortening the A-pillar and lowering the roof by 0.8 inch, redesigning the rear doors, broadening the rear quarter panels, and moving the license-plate mounting area to the rear bumper. 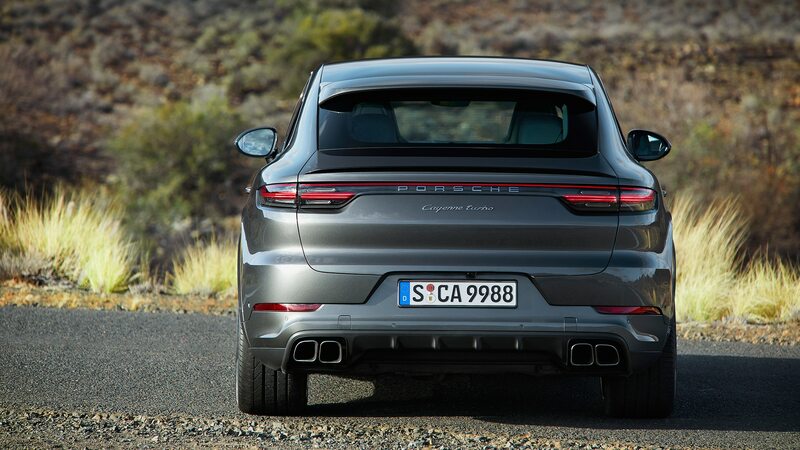 Despite the more raked roofline, Porsche will offer the adaptive rear spoiler launched on the standard Cayenne, which increases downforce at the rear axle by extending up to 5.3 inches at speeds above 56 mph. That curvaceous crown isn’t just for looking at, either. 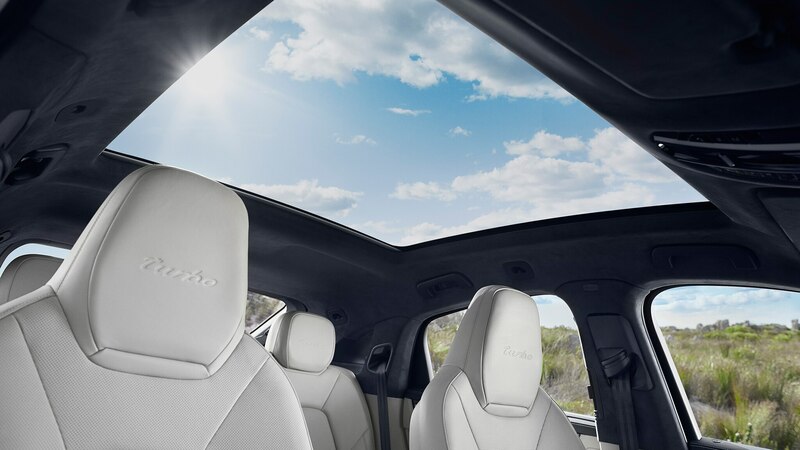 It’s also for looking through, thanks to the panoramic glass roof included as standard. 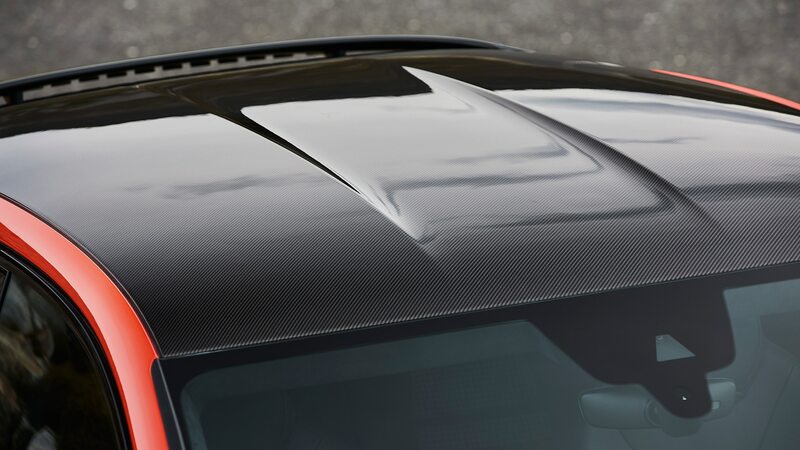 If you don’t want the panoramic glass, fear not, for there’s an optional carbon-fiber roof—a first for any Cayenne—that replaces all that light with lightness. 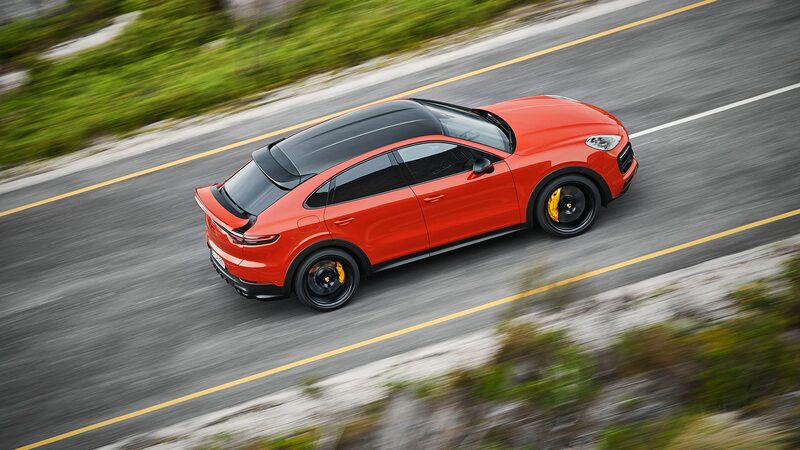 The Cayenne coupe continues the design-first theme with a range of packages, including the Sports Design package, which offers 22-inch GT Design wheels, fabric seat centers in Pepita (a houndstooth-like pattern that makes Porsche fans squeal), plus Alcantara and carbon-fiber accents. 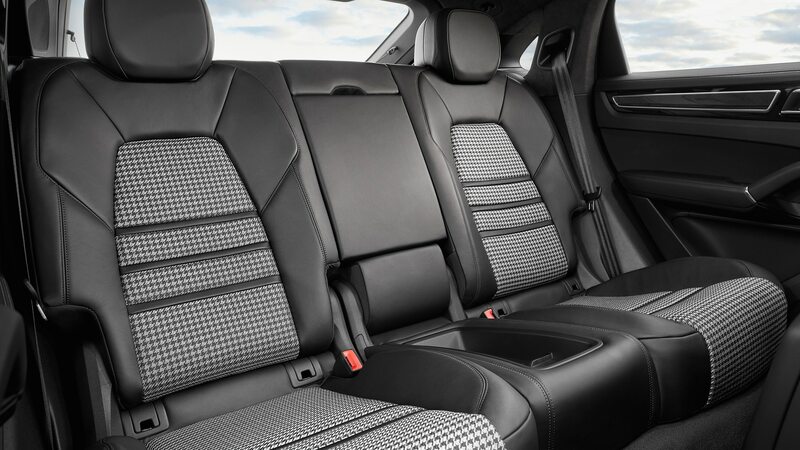 All Cayenne coupes have new eight-way adjustable Sport front seats, with the base model able to be upgraded to the 18-way Adaptive Sport seats that come on Turbo coupes. 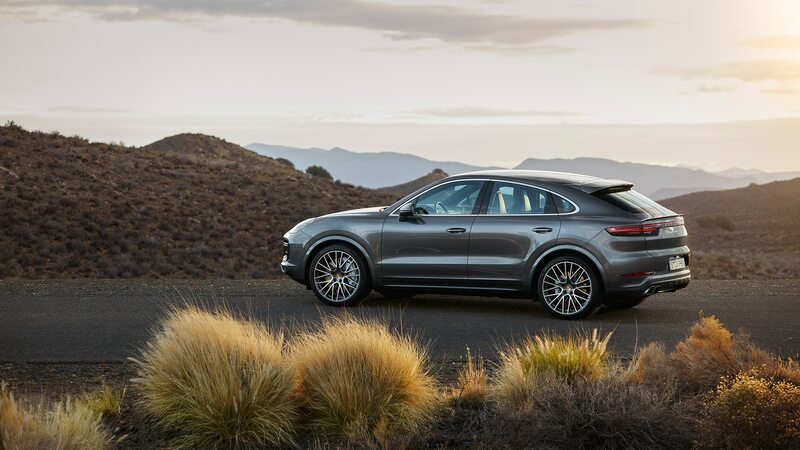 Despite the sloped roof and sport-centric options, Porsche still wants the Cayenne coupe to be useful, and to that end has managed to fit 22 cubic feet of cargo volume behind the rear seats; fold them and the figure rises to 54 cubes. 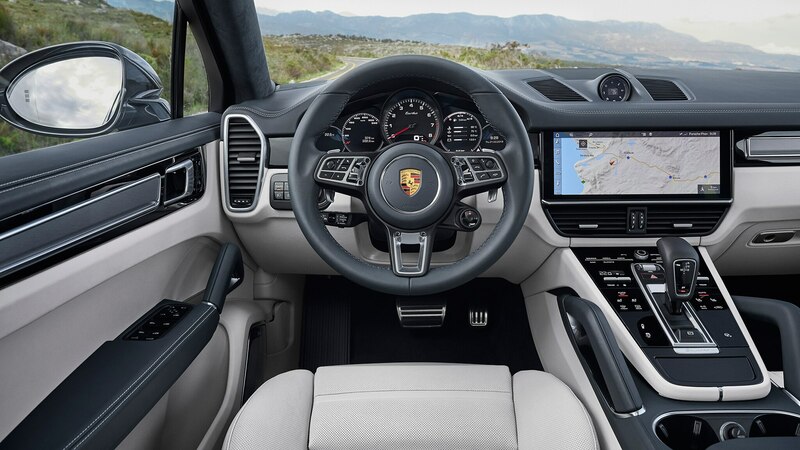 The Cayenne Turbo coupe sacrifices a bit of space to fit all that extra speed, with 21.2 cubic feet available behind the rear seats and 53.3 with the second row down. Just two engine options will be available at launch, and both are familiar. The entry version of the coupe uses the same 3.0-liter turbocharged V-6 found in its more squared-off sibling, rated for 335 horsepower and 332 lb-ft of torque. 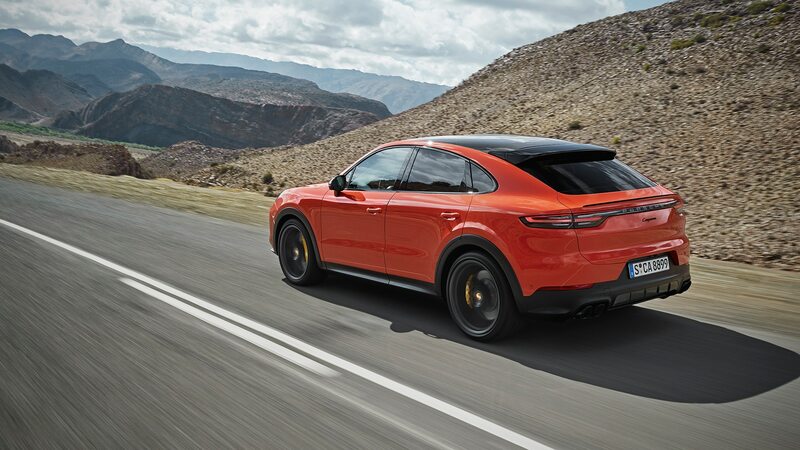 That punchy V-6 scoots the Cayenne coupe to 60 mph in 5.7 seconds (or 5.6 with an optional lightweight sports package). 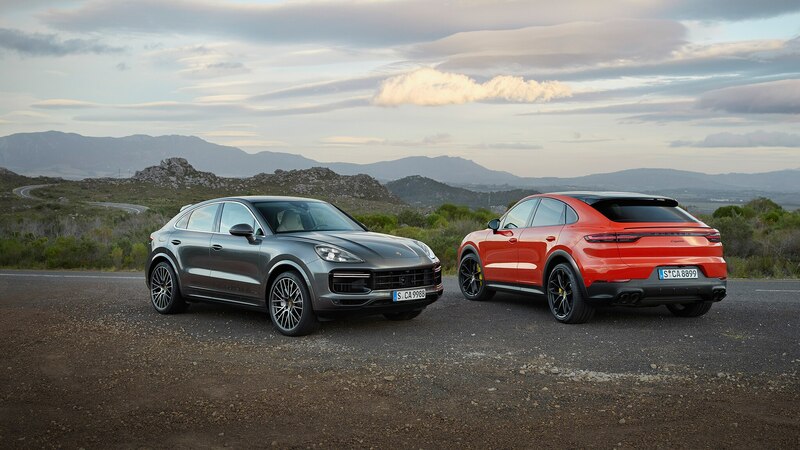 The much hotter Cayenne Turbo coupe takes things beyond houndstooth to plaid with 541 horses, 567 lb-ft of torque, and a zero-to-60 sprint of just 3.7 seconds. Top speed for the standard Coupe is 151 mph, while the Turbo can rend atmosphere at a maximum of 178 mph.